Our Fairbury Attractions website is sponsored by Casson Media which is a news network that was created by Kent Casson who lives and works in rural Fairbury. 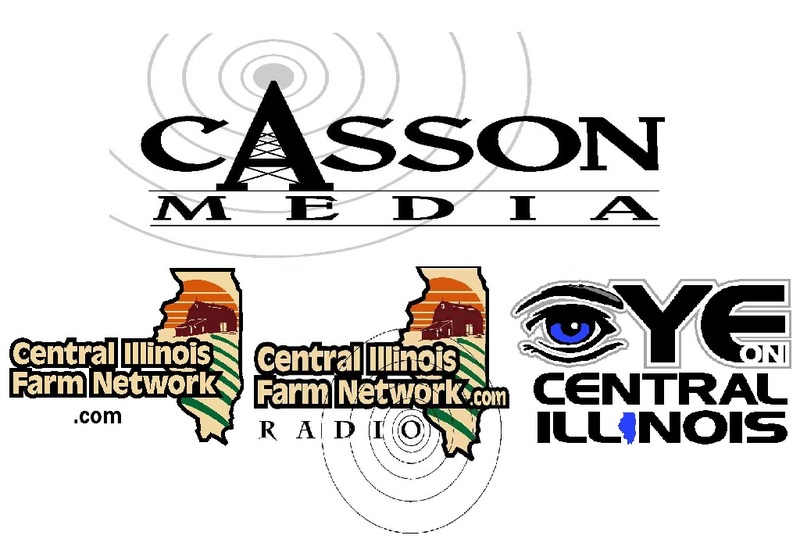 Back in 2010 Kent engineered The Central Illinois Farm Network which provides daily ag news, podcasts and various programs daily through a multiple series of communications outlets. These include the website at Home, Facebook at Central Illinois Farm Network, local newspapers from Fairbury, Pontiac, Chenoa, and Lexington, and the local radio station WGCY 106.3 FM out of Gibson City with broadcasts at 7:15 & 8:15 am. The Podcast page of the site features a daily three minute update on ag news called “Central Illinois Today” and the media coverage includes farm meetings, activity from the farm fields of Central Illinois, and any commodity market swings. This coverage brings you in depth interviews, photos and videos of all the farming news of consequence for the area and, its the place to go to be in the know for the agriculture updates that keeps interested parties aware of what’s happening. “A Central Illinois Morning” is a local morning show that is geared for rural and small town audiences and can be heard live on weekdays at 5:06 to 6:00 am on the CIFN Radio page of the site. The show provides the latest local news, sports and weather to start the day off with along with a mix of agricultural news and national headlines that is over-seeded with current events and fun facts that peak local interests. You can also hear it “on demand” any time after 6:15 am. An additional website at Eye On Central Illinois – has the latest local news headlines from Livingston, McLean and Ford counties where you can find obituaries, coverage of various local government meetings and feature stories and there is absolutely no charge for checking it out. You can find it on Facebook and @eyeoncentralil on Twitter so you can stay updated on current events for the area every day. In the local newspapers – The Fairbury Blade, The Pontiac Daily Leader, the Chenoa Town Crier, and the Lexingtonian you can look for the section with “View from the Cab” and there you will find the coverage of which we speak. Kent Casson has focused his passion for agriculture on putting these news media outlets into an operational success at a time when most other public news outlets are fading from this type of news and factual coverage. For area farmers and farming spectators this communication not only brings us daily points of interest but it can prove to be invaluable when it comes to making decisions on operating directions and for down the road planning. Kent has a lot of accolades to his credit in this field with a couple of notable ones being the Illinois Broadcaster’s Association Silver Dome Award in 2011, which is awarded for best local newscast in medium market radio for the state of Illinois, for his coverage of the Dwight tornado aftermath and, he also received a Conservation Partner award from the Livingston County Soil and Water Conservation District in 2010. He is also an active farmer and shares his energies with this father and grandfather on their local grain farm so, he practices what he preaches (so to speak)! If you’re not already a fan then check out the news and comments, there’s something there for everyone and you can get a quick fix on a lot of things from local, to state to national – easy to access with a variety of available avenues, interesting topics, informative, and there’s a vein of fun that runs through it that has given a lot of listeners a “smile” to start the day off with. For additional local news accessibility you can also go to the Fairbury Attractions website – we got you covered!